Computer Release Cycles. It is typically best to buy a new computer model early after it is released. This can give you the latest technology and a longer product life. If a new model is just around the corner and you aren’t in dire need, consider waiting. CPUs. The Central Processing Unit is a key component and is usually made by Intel. A new model will often be released to coincide with the latest intel CPUs (and associated motherboard, RAM, etc). Buying the latest CPUs can mean that the computer will typically allow operating system updates for a longer period. Hard Drive (HD) versus Solid State Drive (SSD). I strongly recommend SSDs over traditional hard drives. SSDs do not have a spinning platter. They’re more energy efficient and super fast. Many people will find this gives the greatest perceptible difference in speed. Most new computers and all new Macs have an option for an SSD or a hybrid option that uses both an SSD and HD for improved performance (Apple refers to this hybrid option as a Fusion drive). Usage. Heavy computer users such as graphics designers and developers will find it more useful to upgrade quickly than people who mainly edit documents and use a web browser. Consider if the efficiency of your work would improve enough to warrant an upgrade. Hassle. Upgrading, especially on PCs can be annoying and take a great deal of time to configure the computer as you like. Macs are easier to upgrade, especially if you have an Apple store nearby. They will upgrade you for free and move over all your files. PC or Mac. A sad situation that I regularly see is a PC user upgrading after their computer has been infected by a virus. This makes some sense. If the computer has been compromised and is already a few years old, it could be considered “totaled” if the money and time spent on wiping the computer and reinstalling the operating system would be better spent on a new machine. Because of this, I often recommend that people consider Apple computers (Macs) if their needs don’t include Windows specific software. 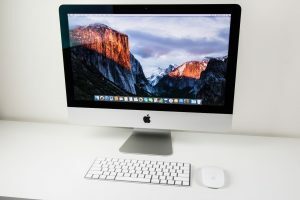 Macs in my experience don’t get viruses, don’t need additional antivirus software, and tend to have higher quality parts that last longer than the typical PC. Because of these factors, Macs have a lower total cost of ownership in my experience, despite having a higher initial cost. Security. If you have a Windows 95/98/XP PC or a Mac that is around 8 years old, you should consider an upgrade for security reasons. If your computer can’t upgrade to the latest operating system or latest web browser, then it won’t have the latest security patches and could be vulnerable to attacks. Deals. PC deals come and go all the time from Dell and others. Apple has one sale a year on the day after Thanksgiving, Black Friday. Apple does offer Education and Refurbished deals. Some Apple resellers offer minor deals, especially on older products.